2P START! Live! 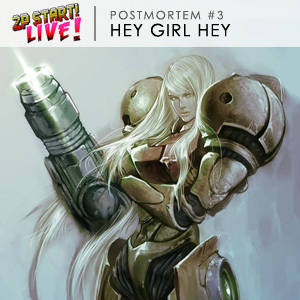 : Hey Girl Hey | 2P START! Wow, it’s nice to hear you guys again! Also, Tim’s having another child. This came out of nowhere? He mentioned it last pod cast I believe it was. Sweet. Can’t wait to listen! Oh wow. This came out of nowhere. What a pleasant surprise! Nice podcast, guys. I liked the random stories. It was especially interesting to hear what other names 2P Start could’ve had. Did Tim ever end up telling us how he got “technically” arrested? And Ray, how did you get married and divorced in one week? I didn’t, I was only kidding. Aw. Couldn’t you make up some story, at least? Listening to it right now! Really good to hear your voices again, big suprise to see it appear! I personally would love weekly podcasts, even if they’re only 5-10 minutes long. I really enjoyed this episode, it was really funny and it was great hearing your stories and opinions. What do you do for work anyway Ray? BTW Ray, did I tell you some girl paid me to for all the info i had on you. I think her name was Lindsay or something. Thanks for the heads up, fixed now. NPG! I hope to get the album as soon as I have funds! How did you fall through your ceiling, Tim? THANK YOU for posting that track! I knew I’d fall in love with the album if I heard a full-fledged song from it! 😀 Despite your mediocre singing voice (no offense, please forgive me) your music is always TOP-NOTCH! Another great podcast! Love Hey girl hey. Ray, you have to propose with the customized Mario level, and spell it out in coins, haha. Well, I’m only 18, so I have no credit card to purchase the album, for shame! I haven’t touched my Wii for a while, for it’s somewhat strange. The remote dries out battery soooooo quickly! Good podcast. First of all, the link to this episode is broken on the podcast archive page..
On Scott Pilgrim, you’ll get MUCH more out of the game/movie if you read the books. Can’t stress that enough. Loved the game and the soundtrack. Other M: Got it today and it’s not as terrible as perceived. The recharge system makes sense when playing through the tougher sections. On the “forced scans”, you are right. Sometimes it’s ludicrous, offering no help. I’ve counted at least 3 times so far that I’ve scanned over the desired object multiple times before registering. What should be worthy of the black doom is Samus’ varia suit decision… That was just painfully stupid. On the controversy of the character’s portrayal, I find the emotional sides of samus coming to light a good point in the game. But I find the hypocrisy from some reviewers to be annoying. It’s “beautifully tragic” when Snake sheds a tear, but when Samus gets freaked out at seeing an enemy she just utterly destroyed the day before ALIVE AND WELL AND TRYING TO KILL HER, its and absolute travesty? How does that work? No Xbox Live price hike for the BDA? Wha? Also, congrats to Tim on the news of the baby boy! Review embargoes have never really made sense to me. Sometimes they make me think they have flaws they’re trying to hide in their products. I’d like to have a knowledge of what to expect beforehand whether it be glitches in a game, terrible twists in a movie or book, or a drastic change in a band’s sound for the worse. On supporting supporting creators, Secret Exit Games have kinda rubbed me the wrong way with how they handled the DLC for Stair Dismount. Any user with a simply Jailbroken iDevice are not allowed to buy the DLC, pirated copy of the game or not. I bought my copy, and still cannot buy the ONE DOLLAR DLC. Why? They’re response was “Why support a hacked device?”. That kinda pushes those people even farther away. If they would allow the jailbreak users to download the DLC, they’d still be making at least SOME money, right? Where’s the “He’s TIM! And he’s Raaaaaayyyy” For the close? Listened to the podcast after watching Apple’s Live Event. Tim got everything he was hoping for! His expectations were met! My wife would say that I just can’t be happy, but seriously, POINT SEVEN!?!?! (See latest tweet). I guess they just decided to go with a camera to shoot video because a) iMovie and b) front-camera but no back-camera would be rather odd. 960×640 could be decent when you just want pictures to post online (especially considering what the quality will be), but if you were hoping for 3MP, or even 5MP, well, ultra-thin, lowish price and Megapixels don’t seem to mix too well. I’m glad it at least has a camera (adds quite a bit of functionality) and if I didn’t waste my spare change on an iPad I would definitely be in the market for this. I guess the iOS 4 fix for 3G iPhones will allow my 8GB iPod to at least play podcasts without occasionally pausing when entering sleep mode, which thankfully didn’t happen to this one, but did happen to the Lame Show podcasts I’ve been going through. BTW, I don’t think Steve called it a camera as much as he called it a camera for shooting video, which I think is the point of this thing. I think he carefully avoiding saying anything specific about the camera for precisely this reason. awesome podcast guys, not super interested in scott pilgrim stuff, not my cup of tea, and I’ve never been a big metroid fan either. Overall the podcast was pretty interesting though. I love these occasional podcasts guys, keep them coming! So, I have Metroid Other M and I have played it about an hour. The game is strange. The first thing you need to understand is that it is an action game with exploration built in, where as Metroid games have historically been more exploration with action built in. Overall I enjoy the game. but I am hesitant to say it is a buy. The core game is very fun, but it has issues. I will reserve judgment until I am further in. The recharge thing is actually, in my opinion, a good thing. Because of the recharge they were able to remove random health and missile drops, keeping the pace up which is very important in an action game. You guys should totally do a weekly podcast, or even monthly. I would totally listen. Please? I was a bit edgy about other m too, it kinda doesnt really feel like metroid more like zelda really, but i havent gotten really far on it, the whole recharge your health thing is made up for with the fact that its to easy to die! and another thing is that the missle expansions only give you one missle. I was really looking foward to the story, but to me the dialouge almost seems dry (and without subtitles almost impossible to understand). its definitly not a bad game but i dont feel that urge to play it that one gets when they bought the game the previous day. NPG! Love hearing from you; this is your best Postmortem yet! Good to see another podcast again. I’ve also secured a copy of the album; I particularly liked the sticker that called it ‘tasty’. I haven’t listened to it in full as yet but am working on that. On Apple/iPod – In part because of Apple’s new announcements, I’m starting to come around to the idea of the iPod Touch actually being a gaming device (for myself I mean; not the larger argument about whether it is or isn’t). Now that my nano has finally died (1st gen) I’m looking to upgrade, and I’m thinking a new or last gen iPod Touch would be a better replacement than another nano. On Scott Pilgrim – I am so obsessed with this right now it is ridiculous. The game is good, but yes the initial difficultly can be insane. You can literally level up to the max and be utterly destroyed because (as I eventually realized) you have to buy your stats in the shops. Lack of online multiplayer is it’s biggest weakness, but not a deal breaker for me. The movie was great, and while I can’t wait to get my hands on the DVD, I am in no way hoping it gets bumped from the theaters sooner. I may have to go to it a second time. Your complaint Ray, about the hollowness of the relationship, is something I would have to agree on for the movie. In the books you really see the relationship develop over time (about a year goes by) and it makes sense, but condensed into under 2 hours for film it seems like it could just be a crazy week for these guys, and it’s not the same. Hmm? Do I hear speak of reviving the Podcast? I SURE HOPE SO! <3 If not weekly then bimonthly.